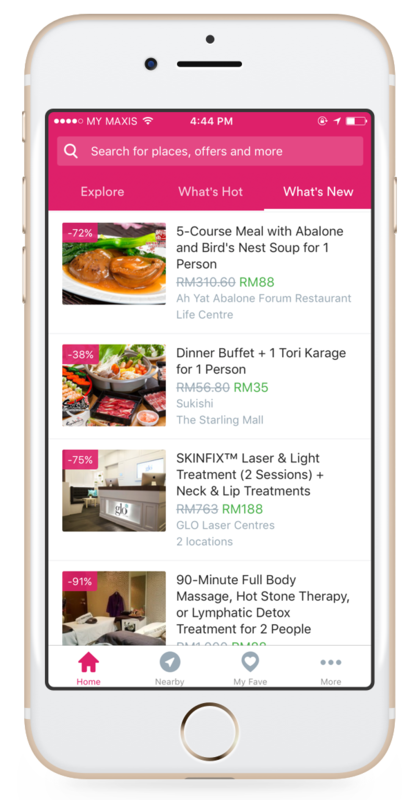 Favetoday announced that Groupon Malaysia, the nation’s most popular go-to site for deals and discounts,will be consolidated under a single brand and operate as Fave moving forward. The integrationwill further deepen the adoption of Fave, which is already the No. 1 food and beverage app in the iOS App Store. Fave will also inherit Groupon’s steady base of customers, enabling the brand to serve over 3 million subscribers combined. On Fave today, customers will be able to find many of the best deals from a variety of merchants including, Westin Hotel,Red Box Karaoke, Le Méridien Hotel, La Juiceria, KL Tower Atmosphere 360,Kenny Rogers Roasters, Coliseum Cafe & Grill Room, TuttiFrutti Frozen Yogurt, Outback Steakhouse, and Morganfield’s among others. Nationwide,Faveenlists over 2,000 local businesses including restaurants, spas, fitness centres, hotels and more. “Everyone loves a great meal, at a great deal. At Fave, we will continue to work with the best restaurants and beyond to extend more exciting and new offerings to consumers. Customers can not only buy a deal, but also pay the entire bill via Fave as they discover the city and save money at the same time. From family to couples, colleagues to friends, our aspiration is to make Fave their favourite app,” said Joel Neoh, Founderof Fave. Mobile payment has been identified as one of the critical drivers of the O2O commerce, which brings online customers to physical stores. The mobile payment transaction value in Malaysia is expected to reach US$927 million in 2021, charting a rapid annual growth rate of 59.8 percent from 2017-2021. Through the seamless transition for its existing Groupon subscribers and merchants, customers can immediately enjoy attractive deals and offers on Fave. Customers are also entitled to an extra 15 percent discount on the first purchase by using the promotional code GOFAVE valid until 28th February 2017. FaveGroup (formerly KFit Group) is the fastest growing O2O company in Southeast Asia. Started in April 2015 as a fitness sharing platform, FaveGroup has expanded to include various other verticals such as Food & Restaurants, Beauty & Wellness, Lifestyle & Activities and more. 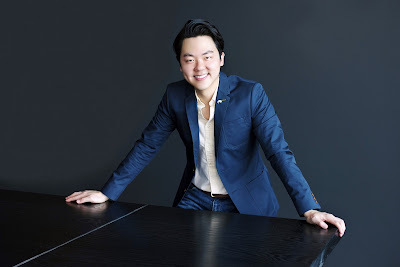 Platforms under the FaveGroup (Fave, Groupon Indonesia and KFit) have connected millions of customers to thousands of offline businesses in key Southeast Asian market centres. 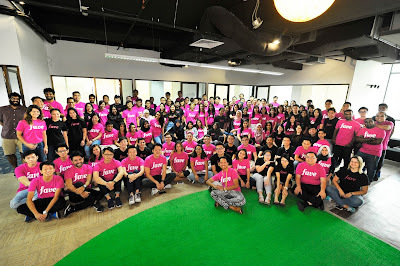 With a strong base in Jakarta and Kuala Lumpur, FaveGroup aims to build the future of mobilecommerce in Southeast Asia. 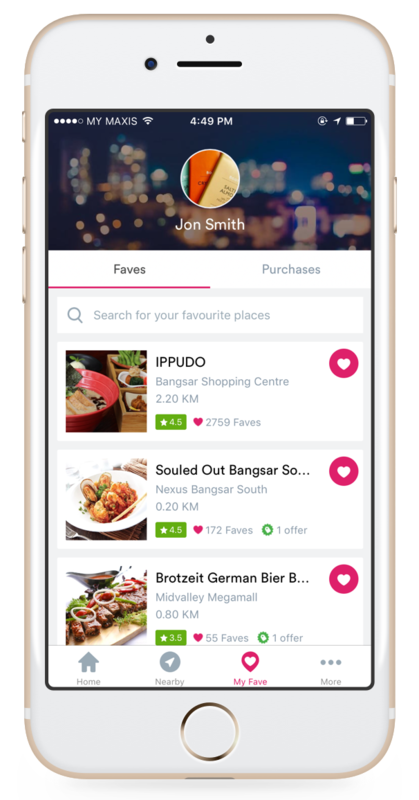 To experience Fave, visit www.myfave.comor download the Fave app from the App Store or Google Play Store. To experience KFit, visit www.kfit.comor download the KFit app from the App Store or Google Play Store.